Shillelagh (l) and Tom Melbourne (r) are among the Chris Waller stable’s All-Star Mile entries. Winx is missing from the list but trainer Chris Waller could still have a strong hand in the All-Star Mile from his seven nominations which include four Group One winners. The Autumn Sun heads the line-up along with other elite performers D’Argento, Shillelagh and Unforgotten. German Group Two winner Ancient Spirit who is now owned by Yulong and Listed winner Kaonic are also there but with 10 of the 14 horse-field to be decided by public vote, Tom Melbourne may well be the first to get in. 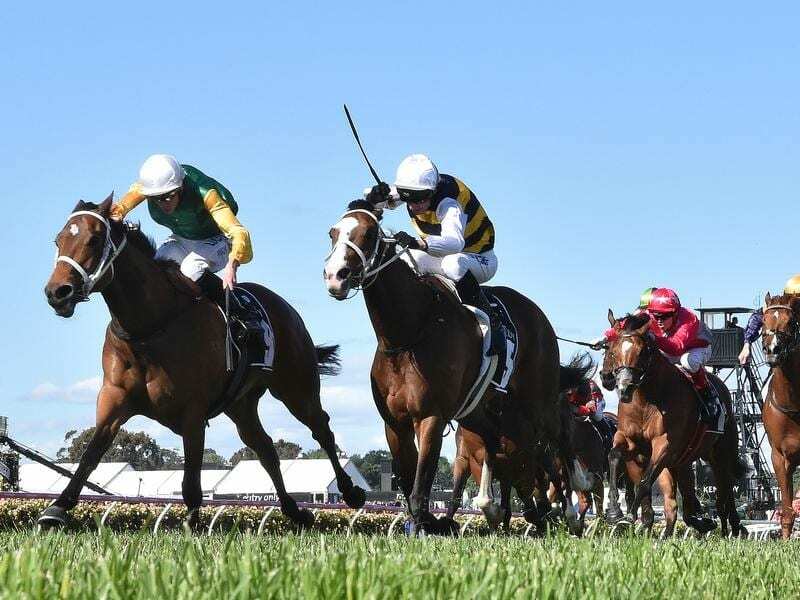 The perennial placegetter has a popular following and although he hasn’t won since the Albury Cup in March 2016, Tom Melbourne has an impressive array of minor placings at a high level. Waller outlined his reasons for nominating each horse in a statement and made the case for Tom Melbourne. “The people’s champion, and despite not having broken through for a victory since March 2016 I am sure the public would love to see a spot in the race for ‘Tom’,” he said. The trainer said Winx’s campaign would centre on Sydney unless something unforeseen happened but he did not want to skew the public vote. “The owners and I do not feel that it is fair to nominate Winx where public voting will hinder on the make-up of the field when it is unlikely she would take her place in the race,” he said. He said high profile colt The Autumn Sun had matured as he had hoped since his Caulfield Guineas win. “Whilst the All Star Mile is not yet guaranteed to feature on his program, he has been entered to ensure that the public have the opportunity to vote without the door being closed on a possible start in this year’s inaugural event,” he said. Entries closed on Tuesday with The Autumn Sun and Godolphin mare Alizee the TAB’s $6 favourites.